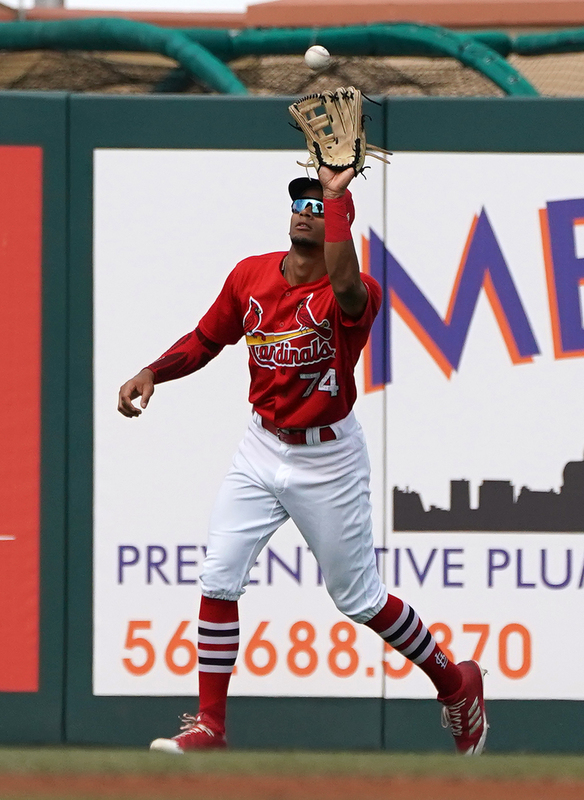 In a rare prospects-only swap, the Indians announced Tuesday that they have acquired minor league outfielder Oscar Mercado from the Cardinals in exchange for another pair of minor league outfielders: Conner Capel and Jhon Torres. The acquisition of Mercado is an interesting one for the Indians, who spent much of the week leading up to the deadline seeking outfield upgrades but ultimately swung only a minor deal to acquire veteran Leonys Martin from the division-rival Tigers, While Martin can serve as a useful platoon partner for fellow veteran Rajai Davis, the addition of Mercado gives the Indians an advanced prospect capable of playing all three outfield spots who isn’t that far from MLB readiness. It’s a somewhat puzzling move for the Cardinals, who will receive a pair of lesser-regarded outfielders in return — albeit two that won’t have to be added to the 40-man roster this winter, thus giving the Redbirds a bit of flexibility in that regard. Capel is the higher-profile of the two, at least per prospect rankings (link to MLB.com, Fangraphs), though he’s not as well regarded as Mercado. The 21-year-old Capel has spent the season in Class-A Advanced, where he’s posted a .261/.355/.388 slash with strong plate discipline despite facing older competition (12.8 percent walk rate vs. 18.8 percent strikeout rate). Reports on him praise his above-average power and speed, with MLB.com suggesting he has the potential to stick in center while Fangraphs pegs him as a corner bat with the ability to hit. Torres is 18 years of age and has yet to progress beyond the Indians’ Rookie-level affiliate. He’s hitting .273/.351/.424 with four homers in 111 plate appearances thus far in short-season ball but generally hasn’t been regarded among Cleveland’s best prospects. Robert Murray of The Athletic first reported the deal (on Twitter).